When you feel healthy, you’re able to express your happiest life. At True Potential Chiropractic, Pakenham chiropractors want to help you live each day to the fullest with all-natural, drug-free chiropractic care. Our care is as individual as you are! Whether you’re one or 100, there’s something for you at our practice. We take pride in making sure care is unique to your needs, doing just as much as your body needs to feel better and heal better. We aim to treat each member of our practice just like a part of our family. We proudly offer a variety of adjustment techniques, including gentle styles for elderly patients and comfortable, relaxing techniques for expectant mothers or those who’ve just given birth. At your first appointment we will take the time to listen to your health concerns and devise a plan that best suits your needs. Our entire team is here to serve you on your journey to true wellness. Whether you’re seeking to get out of pain or feel better for life, we’ll meet you where you are and do our best to provide the natural wellness you’re looking for. We’d love to invite you to schedule an appointment with our practice to learn more about how we can help you. If you’d like to get started today, simply contact us to book your first appointment. If you have any trouble finding our practice, please don’t hesitate to give us a call or see the maps below for either of our locations. 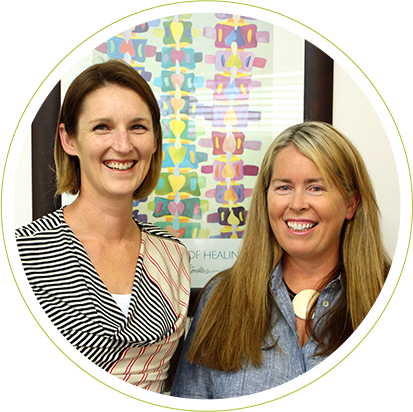 Our chiropractors look forward to welcoming you to our practice!